The remains of Sgt. Maj. Zachary Baumel, who was killed in the battle of Sultan Yaaqub in Lebanon 37 years ago, has been returned to Israel. The IDF spokesman announced the missing soldier’s recovery a day before Prime Minister/ Defense Minister Binyamin flies to Moscow to meet Russian President Vladimir Putin, and six days before Israel’s general election. DEBKAfile reports that it was handed over to Israel by Russian officials. 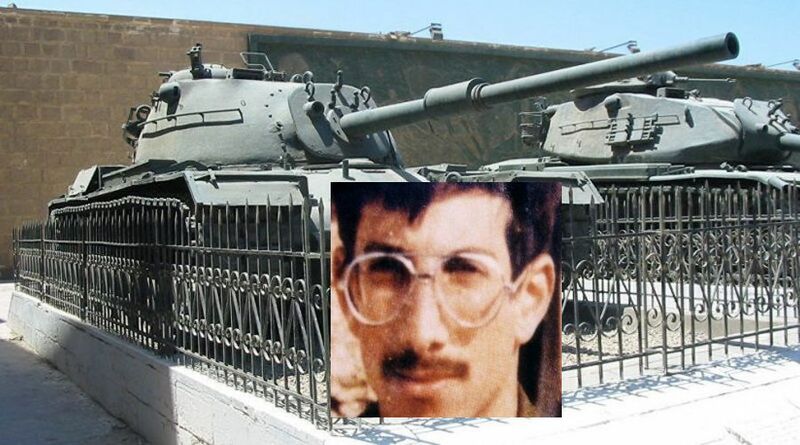 Baumel was one of six soldiers missing from the Sultan Yaqoub battle in the Lebanese Beqaa Valley that took place on June 11, 1982, during the First Lebanon War against a large Syrian force r. Twenty Israeli soldiers were killed in the battle. Two, Zvi Feldman and Yehuda Katz, are still missing. Baumel’s body was brought to Israel by an El Al flight. He has been positively identified. Zachary and his family migrated to Israel from the United States. His mother and two siblings were informed of the event. His father died some years ago. A military funeral with full honors is being arranged. DEBKAfile reports that the handover of the missing soldier represents an exceptional gesture of goodwill by President Vladimir Putin towards Israel and its prime minister, and accentuates his intention to give Israel a role in determining Syria’s future. It follows on his decision during a former meeting on Feb. 17, which lasted three hours, to establish a joint committee for dealing with the withdrawal of all foreign troops from Syria. This brought Israel for the first time into the decision-making process regarding an Arab nation. That accord appears to have opened the door for President Donald Trump to recognize Israeli sovereignty in the Golan. Our sources also reveal that, since 2016, Russian intelligence and special forces officers have been working diligently to uncover the whereabouts of the Israeli soldiers missing from the Battle of Sultan Yaaqub and restore their remains to Israel. On Sept. 17, 2018, Russian Defense Minister Sergei Shoigu incidentally spoke of Russian soldiers who were injured while searching for Israel MIA’s in Palmyra. He made this reference during a bitter diatribe against Israel whom he accused of responsibility for the downing of the Russian IL-20 spy plane opposite Latakia. The battle of Sultan Yaaqub in the Lebanese Beqaa Valley was the Israeli army’s only encounter with a Syrian force during the 1982 Lebanon war. The IDF unit was vastly outnumbered in troops and tanks. Baumel, Zvi Feldman and Yehuda Katz, were in one of the Israeli tanks that were hit. On May 29, 2016, Moscow handed one of those tanks to Israel. It is on exhibit at the IDF museum. Syrian’s motive in letting the Russians have the tank was for its engineers to discover the armor and electronic systems developed by Israel. Even the Russians can see the Benefits of taking Small Steps to become Brokers for Peace in the Future rather Breakers of Nations. The World has changed since 1941, 1946, 1953, and 1979 but the Shiia Behavior has not and only they will be left behind in an ever changing Global World of Innovation, Cooperation, and Communication since they are still Fighting Religious Battles from a Tribal Feuds dating back to their Origination in the 7th Century. Only the Merchants of Death Weapons and Arms Corporation Worldwide benefit from Iranian Shiia Arming and Harming others People, Cultures and Religions. The Persian Empire flourished way back in the Ancient World because they welcomed all Cultures, People, and Religions. The Iranian Shiia have been doing just the opposite and in turn are not welcomed anywhere today. People of the Book welcome as a lost sheep President Putin, and believe he is taking his responsibility to the Russian People to heart in context of “Blessings to Israel bring Divine Blessings”. It is written. Memorable fine gesture from the part of the Russia to the bone Putin! We should recall that were it not for the Soviet Union’s valiant liberation of Eastern Europe in 1945, the Jews who were liberated by Soviet troops would have been killed by the Nazis. Russian troops bore the brunt of WWII in Europe. If the Soviets hadn’t defeated Hitler in the East, D-Day never would have occurred and Hitler would have won WWII, eventually conquering the British Isles as well. Although Stalin did work with Hitler in 1939 to dismember Poland, Stalin probably did this mostly in order to delay Hitler’s eventual attack on Russia, which cost 30 million Russian deaths. The German’s ignored the Geneva Conventions in the East, killing, enslaving, and starving captured Soviet troops. Putin clearly has an affinity for Israel because of our shared suffering under the Nazis. The US, UK and France teach their children that they defeated Nazism, but the truth is that the Soviet Union saved the West from Hitler. We should all remember this when we consider Russia’s role in the Ukraine. The Ukrainians welcomed the Nazis, and were very happy to participate in the Holocaust as were the Latvians, Lithuanians and Estonians. Antisemitism was tought in their churches for hundreds of years. This is very slanted history, to say the least! The Soviet Union would not have prevailed against Hitler were it not for the billions of dollars that the US pumped into the Soviet war effort. And to try to let Stalin off the hook for his pact with Hitler by construing it as a ruse to delay a Nazi attack is fatuous. Stalin was utterly devastated when Hitler tore up the agreement and invaded the Soviet Union in 1941. He sat paralyzed in shock for days in his dacha, issuing no orders, and leaving his generals to improvise as best they could. That is one reason for the tremendous initial success of the blitz. Bruce1923 is repeating the kind of propaganda regarding the “Great Patriotic War” that Stalin and the Comintern was fond of manufacturing. Much later down the road, If not for the sacrifice of the Soviet Union there would have been no liberation of Europe PERIOD! Their is no possible way of a D-day Landing if not for the Soviets the “allies” would have been Dead on the beach is a fact even as a Canadian who served in our merger military who’s Grand parents both served in Europe in WW11 it still silently offends me when I heard our media talk the Americans, or the “allies won WW11 without even mentioning the sacrifice of the Soviets, had in not been for them Europe, Israel and perhaps the world would look much different today. The “allies” includes the Soviet Union, it was one of the allies. I had no idea the Latvians, Lithuanians and Estonians were like that back then. Thank you. As a sailor who has served over 2 years in a combat atmosphere, . . . I can only say “Thank You”, Mr. Putin for the gesture. The back story of how, when, and where is unimportant today, . . . let him be laid to rest at home in peace. Watch out for any charm offensive disguised as a gift that is actually a Trojan horse. Without Russia neither Syria nor Iran can prevail. This Israeli soldier was killed by Syrians with Russian arms. Eli Cohen was caught by a Russian radar truck in Syria. The Syrian opposition was slowly beaten back by either overwhelming Russia air force or Russian truce promises which proved to be entirely false. 1.The only reason why Putin is using Bibi before Israel’s elections is to have US Jews pressure Trump to leave Syria. 2. Putin hopes that Jewish Zelenskiy is elected as President of Ukraine. At that point the Ukrainians and the Russians can finally agree on one never failing common principle-the old good Antisemitism and unite against the US and Israel. Unless you really want to get Fu@$?#d !